Relaxation. It is just part of being on holiday from the way we see it. There is no holiday without stress relief, there is no holiday without feeling like you are yourself again, there is no holiday without taking some deep breaths and feeling everything is perfect. 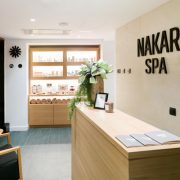 And as we love to take care of you and for you to relax is a crucial part of the #Nakarexperience, you have to find out everything about our spa treatments, which you will enjoy at our urban spa at Nakar. The Nakar spa is a sanctuary for you body, mind and soul. Here we offer you an environment of holistic rejuvenation in a contemporary setting where you will feel like everything else around you is just gone for a couple of hours. Created as an oasis of calm right in the middle of the buzzing city, the Nakar spa will be the ultimate relaxation experience at our design hotel in Palma’s city center. 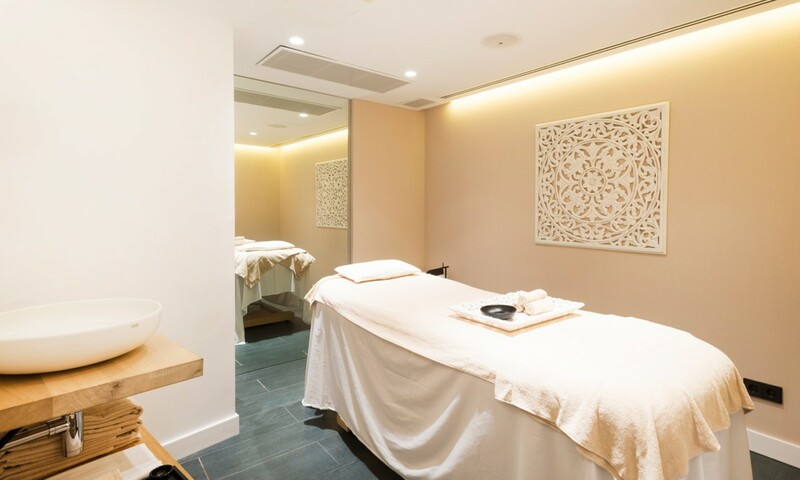 We have a wide range of massages, body treatments and rituals, facials, special care treatments, treatments for your back and a total wellbeing and exclusive treatments for men, in addition to hand and feet care. There is no way we’re leaving anything to chance when it comes down to taking care of you. But even though you can check out every one of our treatments by clicking here, we would like to highlight some of the treatments that have become your personal favourite ones. 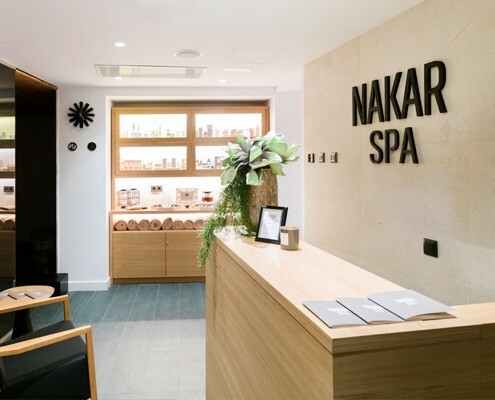 Let’s relax together at Nakar’s spa! ‘Aromasoul Arabia’: This 60-minute whole-body massage is like floating for a full hour. Its aim is to restore body vitality and a peace of mind. Silky and toned skin action, inspired by the warmth of desert and profound sensation of serenity wellbeing. With essential oils of eucalyptus, geranium, lemon and ginger, this massage is like a reset for you body and mind. ‘Hydramemory’: The ultimate facial. This is what ‘hydramemory’ is and you NEED to try it. It is an intensive hydrating treatment for your face, neck and décolleté with Trehalose and Hyaluronic acid, for a bright and silky skin. Your skin will benefit with a healthy glow and plumpness. This treatment also helps to prevent the visible signs of a premature aging. ‘Yuzu Rose Ritual’: One of our limited edition treatments (let’s see how long we’ll keep it on the spa-menu, it’s up to you, folks!). The Yuzu Rose Ritual begins with a welcome ritual, followed by a body exfoliation and a balancing massage all over your body. Translation: it feels like heaven! The name “yuzu” comes from the Japanese citrus fruit by the same name – a fruit that’s tangy and far from typical. This limited edition is also infused with aromatic notes of Mandarin, Tangerine, Lemon Satsuma, Ruby Red Grapefruit, Bergamot, Oak Moss, with added Rose extract to soften the citrus/tangy fragrance of the Yuzu. 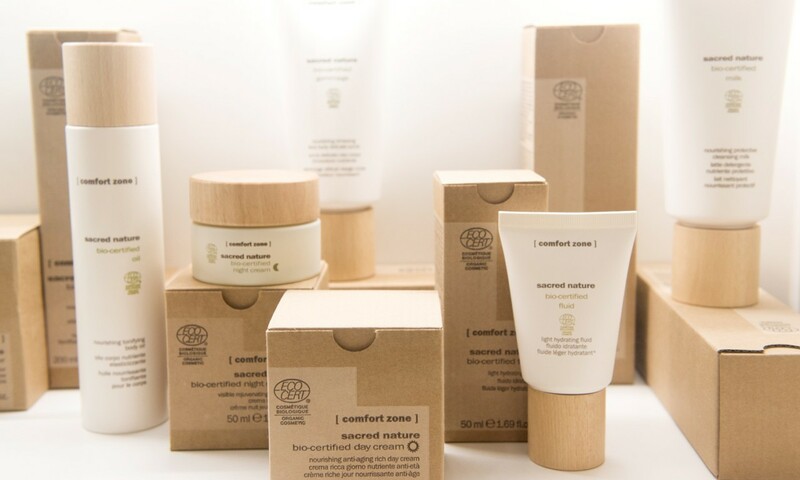 These delicious natural scents are the perfect complement to Spa Ritual’s “Slow Beauty” ritual motto. ‘Back and neck treatment and peeling for men’: Guys, get ready to relax and take care of your skin at the same time! It’s all about multi-tasking, right? Well, at Nakar’s spa we offer men this 45-minute long renewing and relieving treatment for the back and neck areas. It is specially recommended to reduce shoulder tension, stiff neck or headaches: this probably hits all the low points, right? Muscles will relax and blood circulation will improve after 45 minutes of pleasure. As you can see, we have a spa treatment for everyone and there’s even so much more on our spa menu for you to discover! If you’re staying with us at Nakar Hotel, just tell us what treatment you want to book and head floor -1, we’ll be ready! And if you’re not staying at our hotel and you still want to have a lovely and relaxing time at our spa, call us and we’ll give you an appointment!